This doctoral research examines the Five Great Elements - Pancamahabhutas as a spiritual resource for an ecological balance. It addresses the whole question of ecological crisis and shows how religious resources such as Vedas and Vedanta can curtail the existing ecological problems. 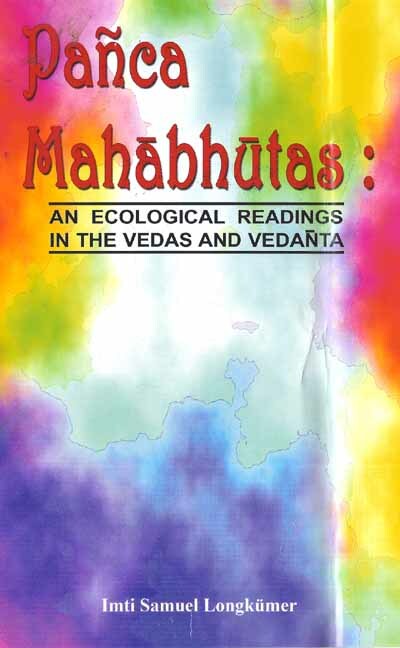 It provides in-depth textual study on Pancabhutas which serves as a connecting link between the Divine, Human and Nature. The work traces how Pancabhutas- five elements namely earth, water, fire, air and ether were created by Brahman in their subtle forms and entered into them and by their combination all other things have been formed (Chandogyopanisad Vol. 2.3.4). And how all these elements are inseparable related to humans and the world. The material world as well as the material body is constituted by the same five elements. Each element possesses both material (gross) and spiritual (subtle) qualities, and each sense organ (indriya) is composed of the same element, the quality of which is sensed by it. Thus, human person is integrally related to nature on the one hand and God on the other. Human person is, but a harmonious combination of all the elements. In his /her embodied existence, s/he is composed of matter, life, senses and mind and consciousness and self. And in the centre of human person resides God as his/her inner Controller (antaryamin) and innermost Self. And it is through human and nature that the Creator is being manifested and on Him/Her they are ultimately dependent for their existence. It is this integral relationship which forms a living world where all the parts are dependent upon each other. This clearly indicates an unbroken continuum between living beings and the external World that promotes an ecological balance.